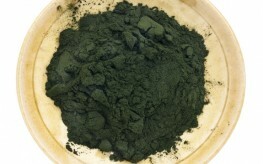 Chlorella seems to be an undervalued superfood, offering a lot of nutrition in very small servings. But chlorella offers even more than high nutritional value per gram. It is a powerful detoxification source. It’s able to detox heavy metals mercury, lead, cadmium, aluminum, and barium and eliminate other ubiquitous pollutants, such as PCBs and other dioxides. Further, it detoxes without disturbing the necessary mineral elements of magnesium, potassium, iodine, and other important minerals. We are heavily besieged by toxic pollutants from our food, water, from the air we breathe, pharmaceuticals, vaccines, and the most prevalent toxic medical mercury source of all – dental amalgams. As long as you chew food with those mercury amalgams in your mouth, you’re releasing mercury vapors into your body. But it takes a special type of dentist to remove them safely – a biological or holistic dentist. Regardless of when or if you’re able to have these fillings removed properly (not to mention you will still be exposed to other toxins), it would be wise to incorporate a daily consumption of chlorella, which also chelates (binds and removes) mercury and other heavy metals. Around the mid-twentieth century, chlorella was looked into as a food to solve problems of international food shortages and malnutrition. As a single cell algae, chorella is easy to produce in natural and artificial fresh water pools. Each tiny chlorella algae cell contains all 21 amino acids to provide a complete protein that is more assimilable than complete meat proteins. And there are many other nutrients compacted into those tiny cells. It resembles the human blood cell except for that fact that chlorophyl is contained in it’s nucleus instead of iron. And the source of energy for chlorophyl is the planetary source of energy itself – sunlight. Because chlorella has existed as-is for over a million years, many consider this survival factor the reason for chlorella growth factor (CGF). CGF is the mysterious, mechanically unknown factor that has been observed to promote cellular growth. Perhaps this is part of why the health benefits of chlorella are so great. However, chlorella’s cell walls were too tough to properly and fully digest, and that ended the mid-twentieth century’s look at chlorella for solving world hunger. But eventually, more than one process of cracking those cell walls was devised to make digesting the algae possible while retaining the walls and the enclosed nutrients. Keeping those cell walls around even after cracking them for digestibility is necessary because it’s chlorella’s cell walls that bind to toxins in your body in order to eliminate them. This is why you see chlorella products promoted with cracked or broken cell walls. There have been many clinical lab animal and human tests confirming chlorella‘s detox and liver restoration value with both Chlorella vulgaris (CV) and Chlorella pyrenoidosa (CP). Yet there are those who argue that CP is superior to CV. That appears to be a moot point when considering budgetary allowances. Adding to this perhaps unnecessary controversy are the more valid issues of chlorella’s source and which of the four methods of cracking the cell walls maintains chlorella’s nutritional and detoxification properties the best. It appears that Taiwan is a good source, and most of Japan’s sources are actually much closer to Taiwan than Fukushima. Taiwan is actually in the opposite direction of Fukushima’s radiated ocean and air current drifts. So not to worry about Japan sources. South Korea also seems to be a good source. There is a good deal of suspicion surrounding China as a source for several supplements, including chlorella. But the cell cracking technique, which is rarely disclosed on chlorella packages, is an issue that I will pass to the Health Gladiator with his extensive research for the right chlorella. Because MAGNESIUM is at the center of chlorophyll, differing hemoglobin, which has iron at its center. Ken, thanks for that post about possible allergic reactions to chlorella. I went to WebMD and read that it can HELP with asthma problems. Then under "side effects" it mentions it can CAUSE asthma problems. Rather confusing. People can react to just about anything, but I'm guessing very few will react to Chlorella, since it acts so positively for most people. The source of the product may need to be considered. To Isk: sorry to hear of your problems with Spirulina, I had no idea of those possible effects. I read recently that Spirulina, like Chlorella, can be hard to digest. An apparent solution is to ferment the Spirulina which breaks down the formerly indigestible portion. I include a teaspoon of Spirulina powder in with my raw milk plus kefir ferment. Makes for an interesting green kefir! Another thing is that Chlorella is an algae while Spirulina is actually a bacteria, a cyanobacteria. So the former is a plant source while the latter is an animal source. You might try the fermentation trick to see if that helps. hey Mike, cool, thanks for the comment…maybe fermenting would help? the author saw great improvement in his toxicity levels after the 3-week stay…obviously more factors other than just chlorella caused the improvement but still i believe chlorella is part of what caused the positive results. i guess maybe I'll start small/slow with the dosage and see if i can tolerate chlorella better than spirulina. Has anyone had any negative effects taking Chlorella? I've tried Organic Spirulina before and every time I get serious chest/heart pain and shortness of breath…for a 37 year old healthy woman it's pretty scary to feel like I'm having a heart attack! After doing some internet research I figured out that I'm not alone–that others have suffered similar effects. Not sure if Chlorella would be considered the same–if I should try? Chlorella has caused serious allergic reactions, including asthma and other dangerous breathing problems. I've bought organic broken cell walled chlorella at Whole Foods.